Professor Michael A. Cowling is an information technologist with a keen interest in educational technology and technology ubiquity in the digital age, especially as it relates to International students and those from non-English speaking backgrounds. 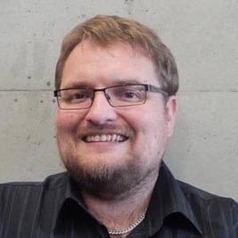 He is currently an Associate Professor in Educational Technology at CQUniversity Australia, having returned in 2016 from a sabbatical as a Visiting Project Scientist in the Department of Informatics at University of California Irvine (UCI). Dr Cowling is the recipient of three CQUniversity Learning and Teaching grants related to teaching technology and was a 2016 recipient of an Australian Government Citation for Outstanding Contributions to Student Learning. He was also a 2015 recipient of the Vice-Chancellors Award for Outstanding Contribution to Learning & Teaching; as well as a 2007 recipient of the CQUniversity Award for Excellence in Learning & Teaching (International Campuses). He is actively researching in the area of educational technology and technology ubiquity and has conducted numerous radio and print media interviews on the topic. He was also a member of the Vice-Chancellors Excellence in Teaching Committee at CQUniversity and has written oped opinion pieces for The Courier Mail, Campus Review and Education Review.